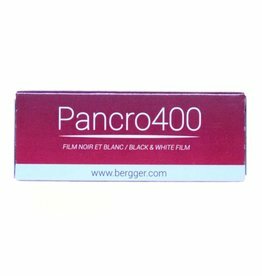 Bergger Pancro 400 is a black & white film with a dual-silver emulsion (iodide & bromide) which theoretically provides greater exposure latitude and a unique tonal gradation. 120 rollfilm. 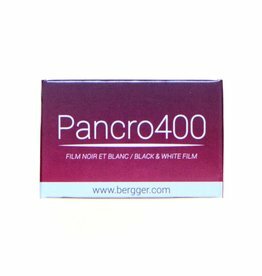 Bergger Pancro 400 is a black & white film with a dual-silver emulsion (iodide & bromide) which theoretically provides greater exposure latitude and a unique tonal gradation. This is a 36-exposure roll for 35mm cameras.